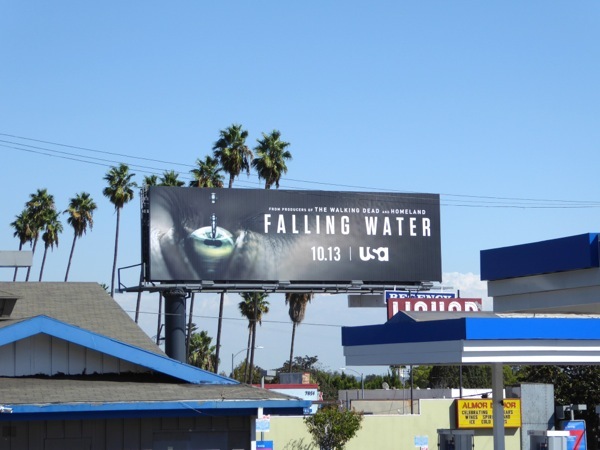 We've already had five seasons of Falling Skies on TNT, so now it's apparently the turn of Falling Water on USA Network. 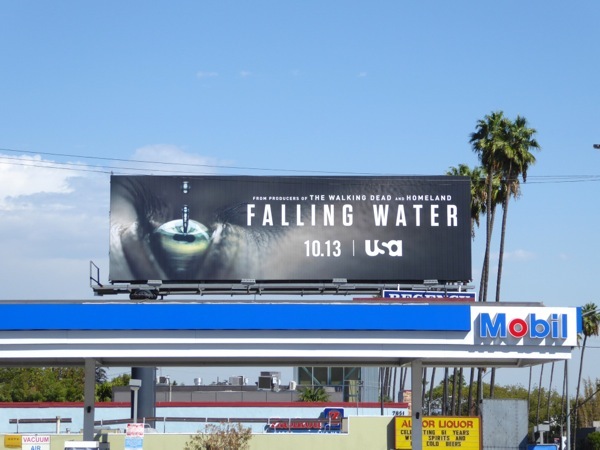 The new science fiction series explores three strangers who are dreaming different parts of the same collective dream. 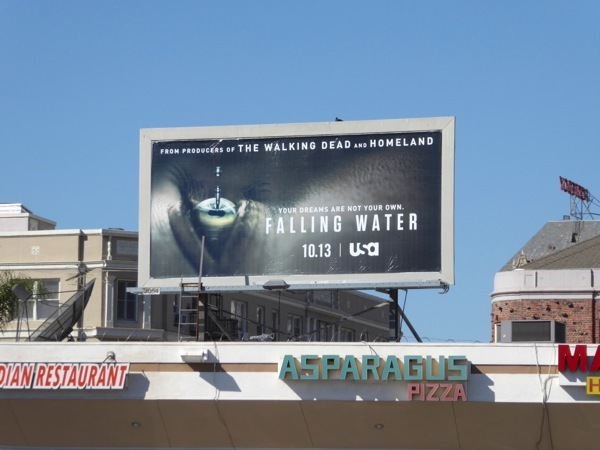 This series launch billboard with dripping water like a needle piercing an eye was photographed along Sunset Boulevard on September 28, 2016. 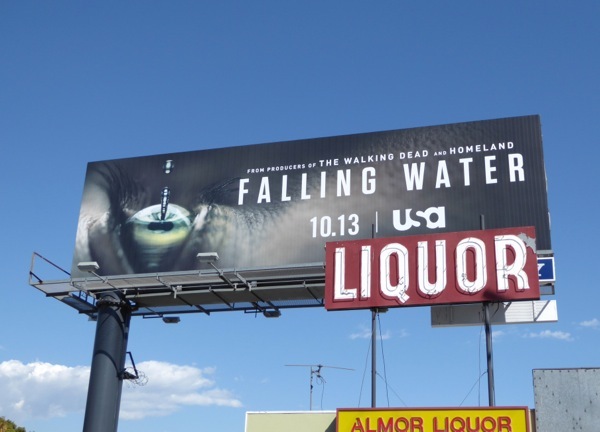 Plus for another gruesome eyeball ad creative be sure to check out these season one billboards for The Strain. 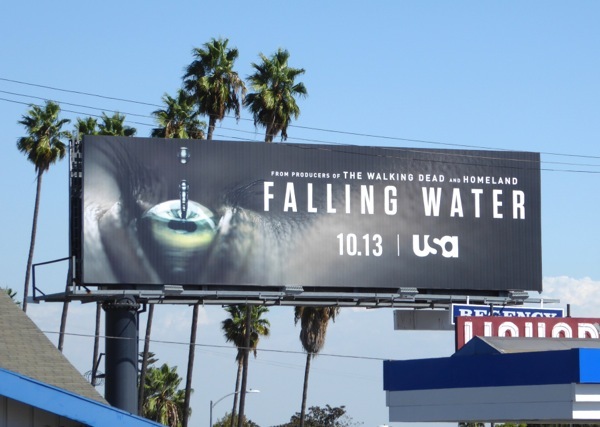 Now the real question is what will be next, Falling Earth anyone? 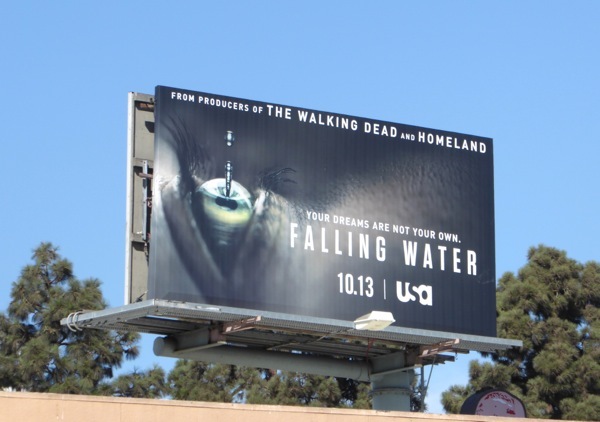 UPDATED: Here's also a smaller version of this ad creative spied along Cahuenga Boulevard in Hollywood and above Sunset Boulevard on October 8, 2016.